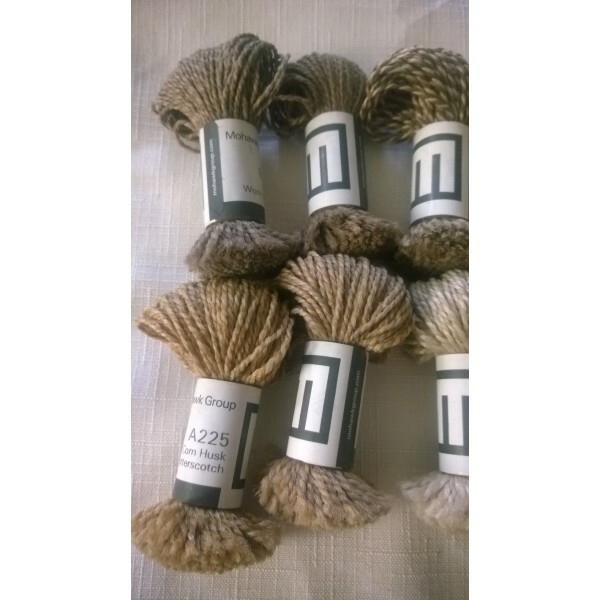 Lot of 14 sample size mini-skeins of wool yarn, made by the Mohawk Group for their carpeting. 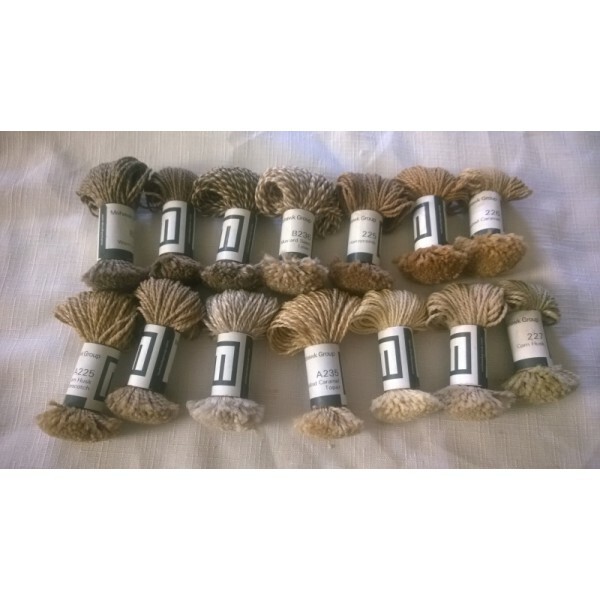 These are loose threads, wrapped in color identifying labels. Size: each thread is about 4"-5" long, about 60 pieces in each skein. Each thread is 1/16" thick. 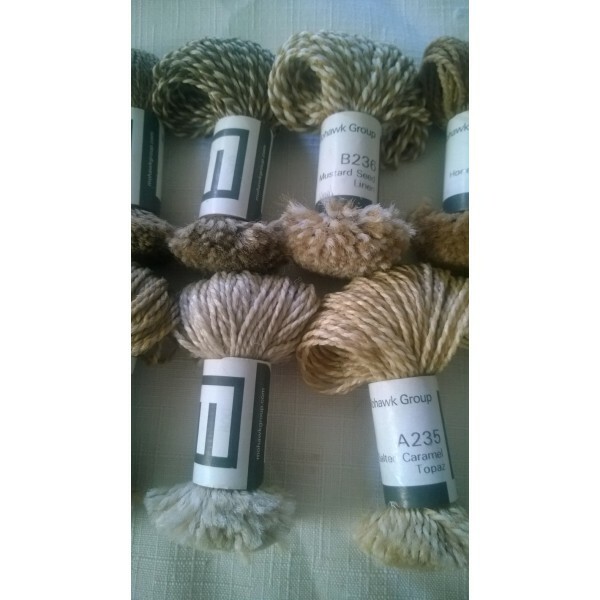 These would be a good size for making fringes or other crafts. This color group is mostly natural tones of beige and tan, such as topaz, butterscotch, toasted almond, worn leather, and more. None have been opened, all are unused. 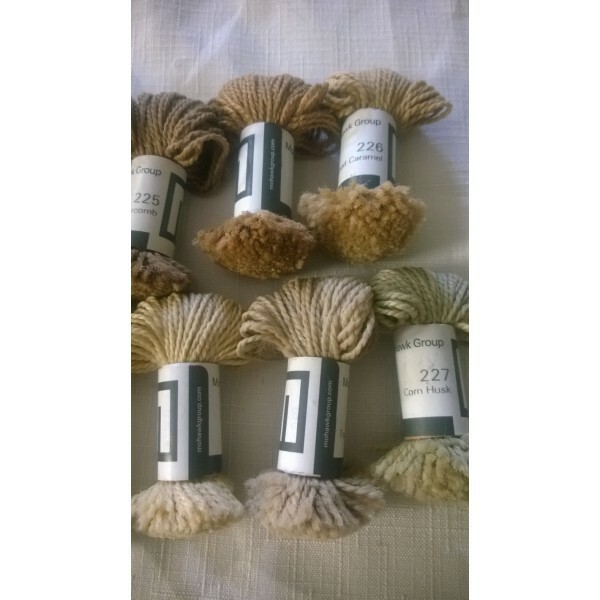 Great for crafters or knitters or anyone who just needs small amounts of colored wool yarn!